Having worked in the fashion industry for almost 6 years now, I have met many fabulous people and friends who share my love of design and creation. 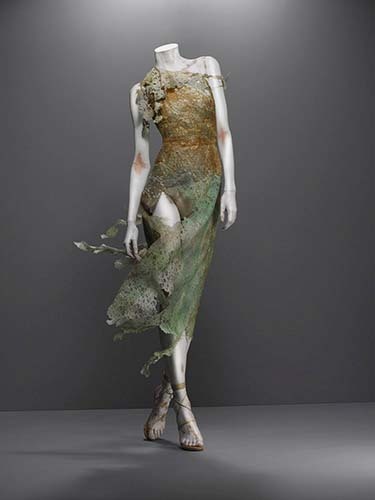 I wanted to try something new on the 'Booze, so I asked my friend Emily, a fashionista in her own right, to draft a guest blog about her recent trip to the Met (Metropolitan Museum of Art) in NYC to see the Alexander McQueen exhibit that just opened. Trust me...you NEED TO GO NOW. Enjoy! 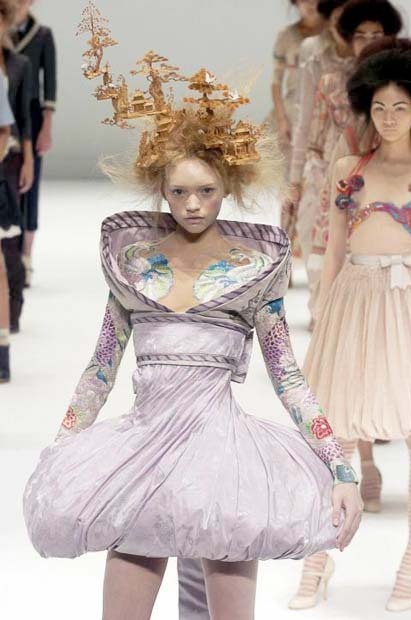 I have always obsessed over Alexander McQueen’s collections and over-the-top fashion shows. It’s not just because of the abundance of feathers and leather, although that may have done it as those are two of my favorite things. 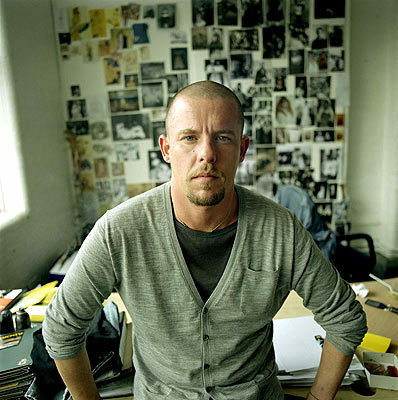 No, I heart Alexander McQueen because he takes things that aren’t ordinarily thought of as beautiful, and turns them into some of the most exquisite, inspiring pieces in the world. And that just makes him a genius. 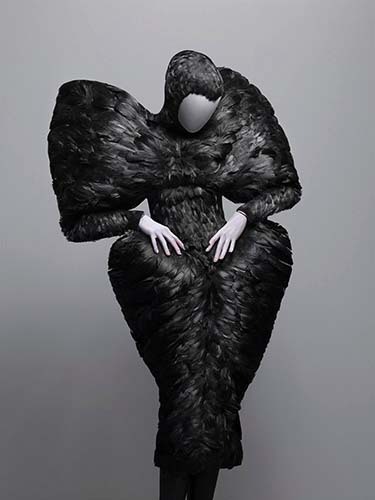 When I took my mom to the Met on Mother’s day to see the McQueen exhibit, I had no idea what to expect. All I knew was that I could not possibly live one more day without seeing it. It is well worth the 45 minute wait and shoulder-to-shoulder crowds because it is complete with thousands of garments and accessories, accompanied by videos from their respective fashion shows. 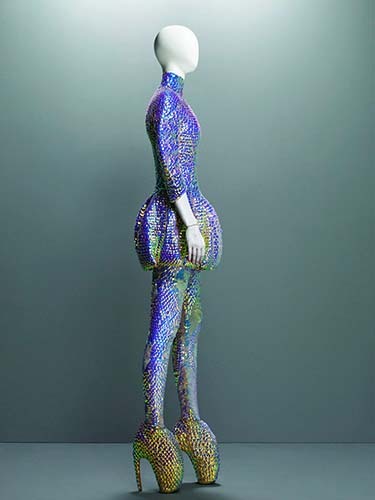 The exhibit showcases many examples of how McQueen challenges what we think of as beauty. He constructs beautiful things in order to deconstruct them, and sometimes literally set them on fire or had rain pour on them in the middle of a fashion show! McQueen’s impeccable tailoring serves as a platform from which to travel through… a fantasyland that is both at times grotesque and beautiful. The breadth of his emotional and provocative work has left an indelible mark on the fashion industry forever. 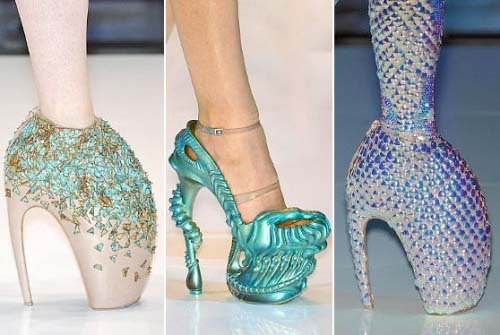 Mostly, I would just LOVE to wear the Armadillo shoe or molded leather corsets!!!! These pieces could completely transform any ordinary human into a super creature. That is the power of Alexander McQueen. These are just a few of the incredible pieces you can view at the exhibit. Don't waste another minute. GET. THERE. NOW.